TES are Brisbane’s most trusted Aiphone agent where we work extensively on projects for residential and commercial clients. For intercom repairs Brisbane need not look past TES as the best and most reliable intercom specialists. 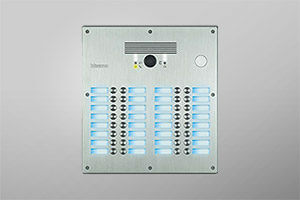 We work on a wide range of intercom brands and have decades of experience. We know that Brisbane families want a trusted and reliable intercom repair company. When your intercom needs repairing you’re at the mercy of intercom repair companies. You want a company that is prompt and reliable. A company that gives equal importance to residential intercom repairs as it does to commercial clients. That’s why you should call Dallas at TES. TES are quick and efficient because they have decades of experience. Knowing your product is the key to quick maintenance and repair of intercoms. That’s what allows TES to quickly diagnose and repair your intercom. Those are just a few of the favoured and trusted brands we use. We have worked with a huge range of Brisbane intercoms so call us to find out if we support your intercom. TES have worked extensively with clients in Brisbane on install, maintenance and repair of intercom systems, access control and CCTV. Clients value our experience with intercom systems both large and small. We work with intercom systems on residential complexes, apartment blocks and commercial buildings. With decades of experience in working for body corporate and corporate clients, we’re trusted to deliver fast and efficient intercom repairs. If you’re the person responsible for commissioning Brisbane intercom repairs, you should call Dallas. A quick chat with Dallas will reassure you of our knowledge and ability to deliver Brisbane intercoms repairs. We’ve worked with many body corporate on townhouse complexes. 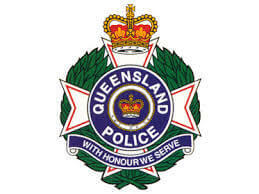 We’ve worked for government agencies like the Queensland Police and Queensland Ambulance. And we’ve worked for corporate clients like Riviera and Fresnius Kabi. Get the right intercom repairs by getting the right advice on your Brisbane intercom repairs. Our quotes are obligation free. We’re confident on giving the best advice and the best prices.